The midweek fixtures threw up further chaos in the world of fantasy football. Who knew that Jurgen Klopp would rise to Guardiola levels of unpredictability in his selections? On we go, however, to the weekend – where the only real banker looks to be at the Emirates, where an in-form Arsenal host Huddersfield. Manchester United should be beating Fulham at home, but they are winless in four and Claudio Ranieri has previous for thwarting Jose Mourinho. There are also huge clashes at either end of the table, with Chelsea v Man City the glamour tie of the weekend but Cardiff v Southampton just as compelling for different reasons. Cardiff and Southampton have conceded 13 goals between them in their last three games – perhaps best not to be including anyone from either defence. 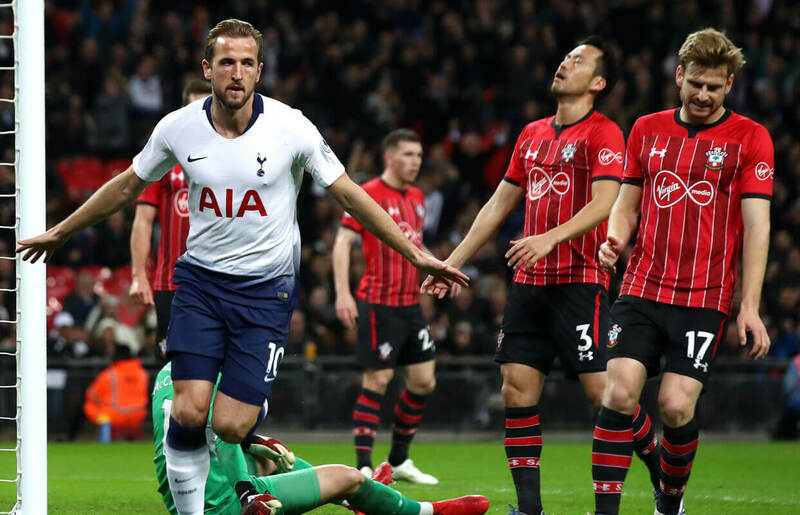 Two teams in the top four face tricky away fixtures, with Liverpool off to Bournemouth – where they lost a 4-3 classic two years ago – and Tottenham heading to Leicester. Finally, Monday night sees the first contest of the season between Marco Silva’s Everton and his old club Watford – expect a bit of bad blood there after the former’s ‘approach’ for the in-demand Portuguese coach last season. 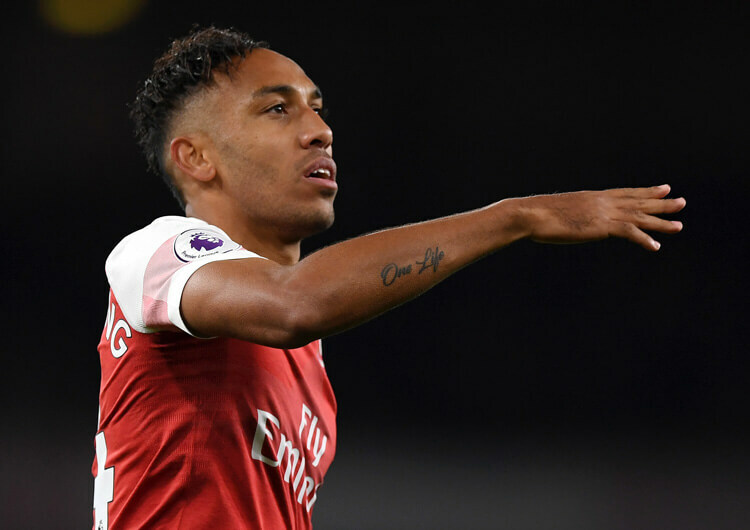 A home fixture against Huddersfield looks like a great opportunity for the Premier League’s top scorer Pierre-Emerick Aubameyang to add to his current tally of 10. Aubameyang has eight goals and one assist in his last eight Premier League games, and on Saturday comes up against a side with the third-worst goal difference in the division. The Gabon international is an intelligent runner who loves to move on an opponent’s blindside, often enabling him to get into goalscoring positions – as when scoring against Everton in September (above). The Huddersfield defence can struggle to track opposition movement particularly well, which could play right into Aubameyang’s hands this weekend. 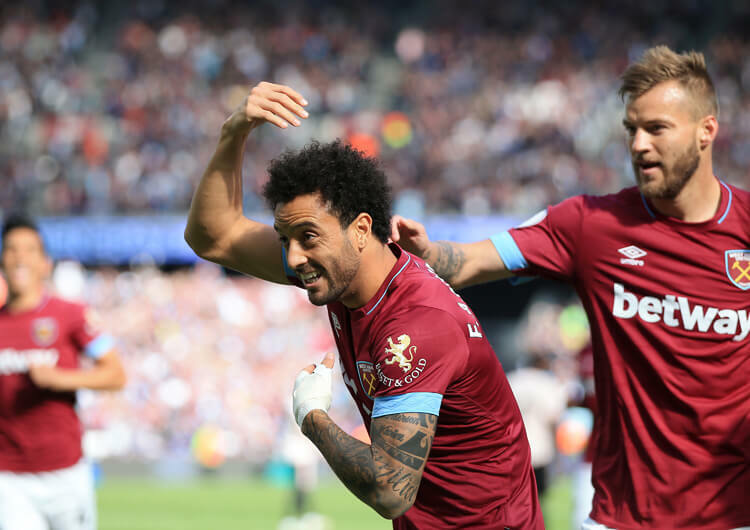 An in-form selection, Felipe Anderson has scored four goals in his last five West Ham games from midfield, and may take an even more advanced role in the likely absence through injury of Marko Arnautovic. 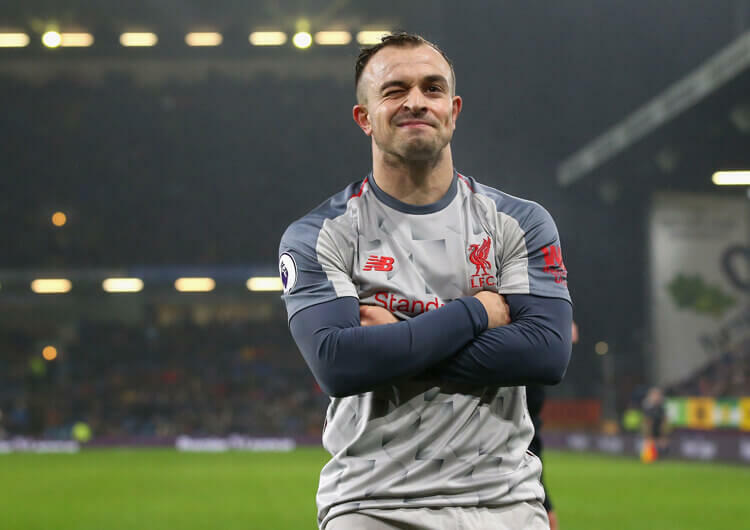 A home game against Crystal Palace will give the Brazilian a chance to run at full-backs Aaron Wan-Bissaka and Patrick van Aanholt, or exploit the space in behind them on the counter-attack – an area in which Anderson has been deadly in recent weeks. Roy Hodgson’s Palace have picked up only one point from their past five league games on the road – at Old Trafford – and have won only once in the league since mid-September, at home to Burnley. It would be no surprise at all were Anderson, one of the league’s form players, to pick up decent points on Saturday afternoon. Burnley’s top outfield point-scorer, Johann Berg Gudmundsson could be in for a productive weekend at home to Brighton. The visitors have shown weakness when defending against set-pieces or crosses into their box from open play this season – both areas in which the Icelandic international excels. A left-footer who tends to operate from the Burnley right, Gudmundsson often looks to cut inside and aim inswinging crosses for a forward line that can call upon Sam Vokes, Chris Wood or Ashley Barnes – all of whom are strong in the air. Gudmundsson has more fantasy points than Paul Pogba, Xherdan Shaqiri, Willian and Christian Eriksen this season, among others. Available at £5.9m, he could prove good value – albeit perhaps only for one week, with Arsenal, Tottenham and Everton looming for the out-of-form Clarets. Robert Snodgrass may be another West Ham selection, but their next six league fixtures read Crystal Palace, Fulham, Watford, Southampton, Burnley and Brighton. The Scot has managed three assists in his last two games, and with his recent run in Manuel Pellegrini’s starting XI look to continue he suddenly represents a decent fantasy prospect. Threatening from set-pieces as well as having creative qualities in open play, Snodgrass may accumulate some very useful points in the weeks to come. Harry Kane didn’t let us down. The England captain (above) scored one, made one and picked up three bonus points in Tottenham’s 3-1 win at home to Southampton. We were very pleased with ourselves here, but Manuel Pellegrini outwitted us by leaving Pablo Zabaleta on the bench throughout West Ham’s easy win over Cardiff. At least Josh Murphy’s late goal for Cardiff stopped everyone else getting clean-sheet points. Only one point for Henrikh Mkhitaryan, who appeared from the Arsenal bench against Manchester United. He missed one great chance, later thumping home a superb volley from a crazy angle that was ruled out for a clear offside.